An HDR digital painting produced from a three exposure set with a 2 ev. spacing. 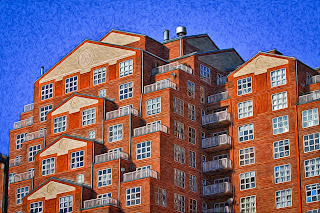 The HDR image was toned in Photoshop 5 run through Pixel Bender.